This one day, nationally accredited course has been designed for staff working in mental health, or those for whom conducting a mental state examination (MSE) is within their current or anticipated scope of practice. The course reflects the current Queensland Health policies and guidelines in reporting and documenting the MSE in a service delivery setting. The learning focuses on the evidence collected during a clinical interview, to promote evidence based clinical analysis and identification of mental state symptoms, and recording observations in the appropriate manner. The Learning Centre is pleased to host Mental Health First Aid (MHFA) training, with deliveries on offer by an accredited MHFA facilitator in 2018. This two day course teaches people how to offer initial support to adults who are developing a mental health problem, experiencing a worsening of an existing mental health problem or in a mental health crisis, until appropriate professional help is received or the crisis resolves. Note: Unlike other Learning Centre courses, this course is recommended specifically for non-clinical staff. Clinicians and other health practitioners should refer to other Learning Centre courses for their training needs. *funding arrangement for West Moreton, Queensland Health staff, contact 32718845 for information. The Learning Centre currently offers Youth Mental Health First Aid (YMHFA) training with deliveries being scheduled by request only. Deliveries will attract a fee so please contact the Learning Centre for a quote or to discuss availability. The two day Youth Mental Health First Aid course is for adults working or living with adolescents (those aged approximately 12 and 18 years). However, the course can be relevant for those helping people who are a little younger or older. This course is particularly suitable for parents, school staff, sports coaches, and youth workers. Note: unlike other Learning Centre courses, this course in recommended specifically for non-clinical staff. Clinicians and other health practitioners should refer to other Learning Centre courses for their training needs. The Mental Health Educator Workshop is a three day course which provides participants with the knowledge and skills to develop their professional competency as an instructional designer and facilitator/educator. This two day workshop is practical, collaborative and based on international best practice experiential principles for the training of clinical supervisors. Designed for all mental health practitioners who are currently providing clinical supervision (or working toward a supervisory role) within a mental health service. The aim of the workshop is to facilitate the development of core skills and capability in the supervision practice areas of: the supervisory relationship, holding and maintaining a supervisory alliance, reflection, providing and receiving feedback, and monitoring of safety and ethical dilemmas. Note: this course is a pre-requisite for those wishing to complete QC12 Supervising Supervisors. QC8 Best Practice Models of Supervision must be completed prior to enrolling in this course. This one day workshop explores the fundamentals of best practice models of supervision, addressing the expectations and processes involved in effective clinical supervision. The training is aligned to Queensland Health guidelines for clinical supervision in Mental Health Services, to assist in the delivery of quality, effective and accountable clinical supervision. 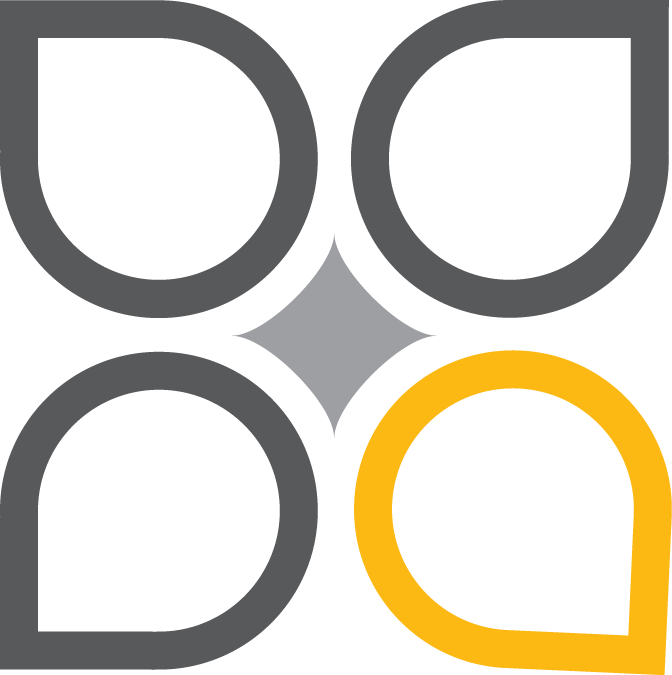 Designed for all mental health practitioners providing and receiving clinical supervision, the experiential-didactic delivery model enables active engagement and personal reflection on practice. Note: this course is a pre-requisite for those wishing to complete QC4 Supervisor and QC12 Supervising Supervisors. This one day workshop aims to promote evidence-based clinical risk assessment and management practices that improve consistency in the assessment and management of consumer risks. The workshop provides participants with skills to gather and identify risk factors relevant to an individual, and complete an analysis of risks weighed against mitigating factors. Designed for mental health practitioners of all levels of experience, professionals from other services may also find this workshop highly relevant when working with people experiencing mental health problems. 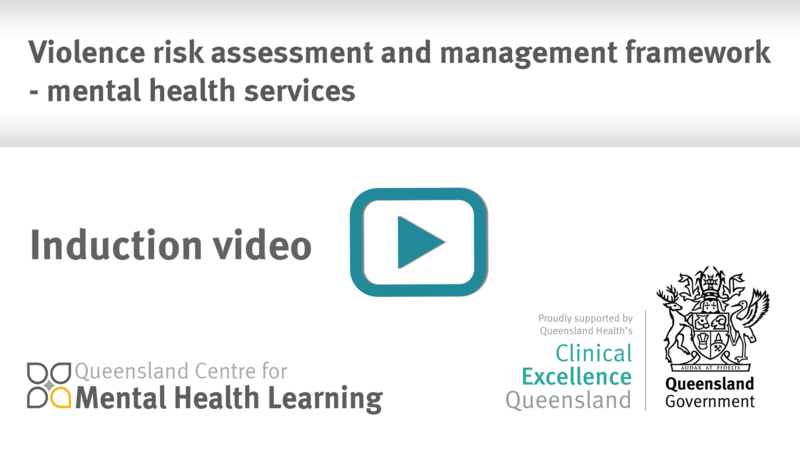 This video introduces and describes the Queensland Health Violence risk assessment and management framework – mental health services (the Framework). The video presents information about the three-tiered approach to violence risk assessment and response within the Framework, the purpose and principles of the Framework, how the Framework will be implemented, and clinical roles and responsibilities. The video runs for approximately 20 minutes. A transcript of the video can be downloaded here. This two day workshop builds upon the learning from QC4 Supervisor, providing a safe environment for participants to develop advanced skills in providing supervision to those who are clinical supervisors. Outlining the components and stages of supervisory processes will guide the supervising supervisor to establish, negotiate, maintain and end a supervisory relationship, thus decreasing ambiguity and providing clarity for roles and outcomes. Supporting and strengthening consumer centred mental health services is the underpinning focus of clinical supervision practices. Note: QC8 Best Practice Models of Supervision and QC4 Supervisor are pre-requisites for those wishing to complete this course. This half day workshop builds clinicians skills in capacity assessment for the adult consumer. This includes consumers consent to mental health assessment, treatment options and general health care. The Mental Health Act and the Guardianship and Administration Act define capacity and discuss the relevant tribunals for consumer assessment and treatment. The workshop will explore substitute decision makers under the Mental Health Act and the Guardianship and Administration Act. Hands on skill development include reviewing case studies/vignettes to assess for capacity, how to document capacity, and discussion and review of court decisions in regard to capacity. The course is recommended for all clinicians working with consumers, and should be completed as a refresher every two years to ensure currency of practice. This two day course provides clinicians who work with people experiencing mental illness, with the core knowledge and skills required to undertake a comprehensive mental health assessment including individualised treatment and care planning. Underlying principles and processes of recovery, family engagement, strengths and collaboration are explored along with the content of a mental health assessment. Clinicians will also learn about Capacity in adults in relation to consent for mental health assessment. Designed for mental health practitioners, professionals from other services may also find this course highly relevant when working with people experiencing mental health problems. This half day refresher workshop provides mental health practitioners with an opportunity to update their risk assessment and management skills. It is ideal as an annual competency for all clinicians. Covering the core elements of static, dynamic, protective and unknown risk factors, the course reinforces the importance of thorough risk screening, using informed professional judgement to write formulations/summaries that reflect weighing up of identified risk and protective factors. The course also covers how to use risk information to develop treatment plans guided by the individual needs of the consumer, combined with the underpinning recovery focused, consumer centred values. This course code selection is reserved for private and tailored training events in a half day format. Please only enrol where you have received marketing inviting you to attend a specific event – these deliveries are usually not on general offer. Marketing information provided will specify the course content relevant to your session, the location and any other special instructions. This course code selection is reserved for private and tailored training events in a full day format. Please only enrol where you have received marketing inviting you to attend a specific event – these deliveries are usually not on general offer. Marketing information provided will specify the course content relevant to your session, the location and any other special instructions. This one day course provides invaluable practical training for clinicians and professionals across all disciplines and experience levels, by enhancing interpersonal skills in creating a collaborative relationship with their client. The course explores the use of a person-centred approach in the development of the therapeutic alliance and provides opportunities to learn and practice skills based on contemporary empirically supported evidence. This course is ideal for anyone wanting to build strengths in communication practices and enhance clinical practice. This video-conference delivered course provides opportunity for remote and rural services to participate in a half day condensed snapshot of risk assessment training. The workshop provides mental health practitioners with an opportunity to achieve a basic understanding of risk assessment and management skills and how to apply them. Covering the core elements of static, dynamic, protective and unknown risk factors, the course reinforces the importance of thorough risk screening, using informed professional judgement to write clinical summaries that reflect the weighing up of identified risk and protective factors. These elements combine in the development of treatment plans guided by the individual needs of the consumer. This three-day train-the-trainer workshop is designed to allow clinicians to gain an understanding of the methodology for delivering the R&R2 MHP course to consumers and clients in their service. The R&R2 MHP course is a structured, manualised cognitive-behavioural therapy course which aims at implementing behavioural change and reducing recidivism. It is relevant to continuing care teams, community care teams, forensic mental health teams, prison mental health teams, and other youth and adult services who have a client base that may experience antisocial behaviours as a result of long term institutional care and/or correctional care. A participant of this course will then be accredited to deliver the course to consumers. Distinctly different to our other training courses, the QC31 SSYP course is aimed to target youth workers - It bridges the gap between clinical training and more general crisis support training. This one day course is designed to provide participants with the skills to identify young people at risk of suicide and gain practical skills to ask directly about suicide.